Random thoughts: Crux Fermentation Project recently sent me a few samples. I’ve heard great things about their beer, but have never had the chance to taste one. That changes now. Today I’m drinking Half Hitch, an Imperial IPA that features Mosaic hops. Mosaic is a descendant of Simcoe, Tomahawk, and Nugget hops. Its flavor descriptors include citrus, cedar, floral, stone fruit, tropical, pine, and even onion and garlic! Let’s hope those last two don’t find their way into this beer! The tasting: Bottled on December 4, 2013. Half Hitch is golden orange in color, slightly hazy, with a white head that dissipates slowly. Aroma starts with grapefruit, but quickly moves to tropical fruit with guava and mango taking center stage. There's also a bit of bread and a touch of alcohol in the nose. At the first sip, mango and guava are front and center in taste. Grapefruit is present, but is takes a backseat to the tropical fruit flavors. This is a nice change of pace, as most IIPAs tend to emphasize grapefruit flavor. In the middle, biscuit and slightly sweet caramel malt flavors emerge followed by a bit of warming alcohol. At 10% ABV, I expected a more noticeable alcohol bite, and was pleasantly surprised by the lack of it. Hop bitterness is moderate to high, but is very nicely balanced. Half Hitch is moderately carbonated, medium bodied, has a mouth feel that’s creamy, yet slightly resinous. It finishes with a tropical fruit and warming alcohol. 4 star. Really good! I want this again! This is a delicious Imperial IPA! 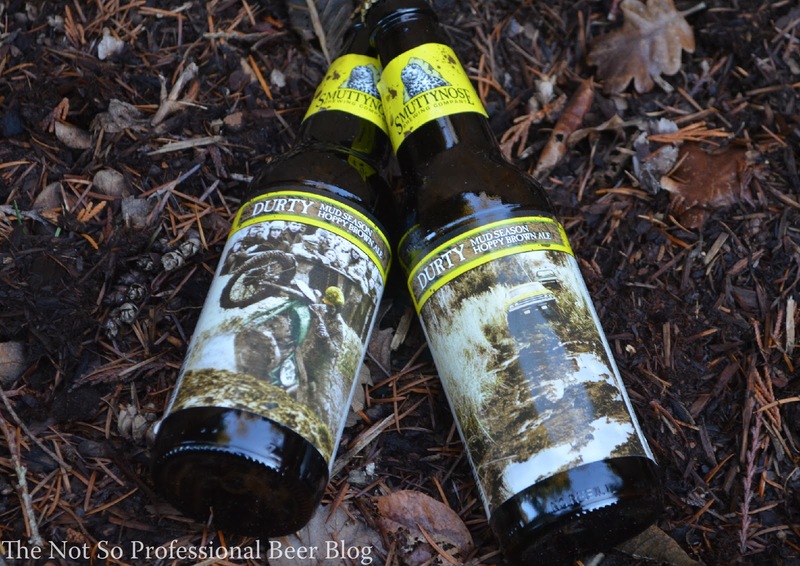 It has loads of juicy tropical hop flavors, but manages to stay out of hop-bomb territory. For a 10% ABV beer, it’s extremely drinkable—so take it your time and savor it. Sadly, my drink didn’t last very long. 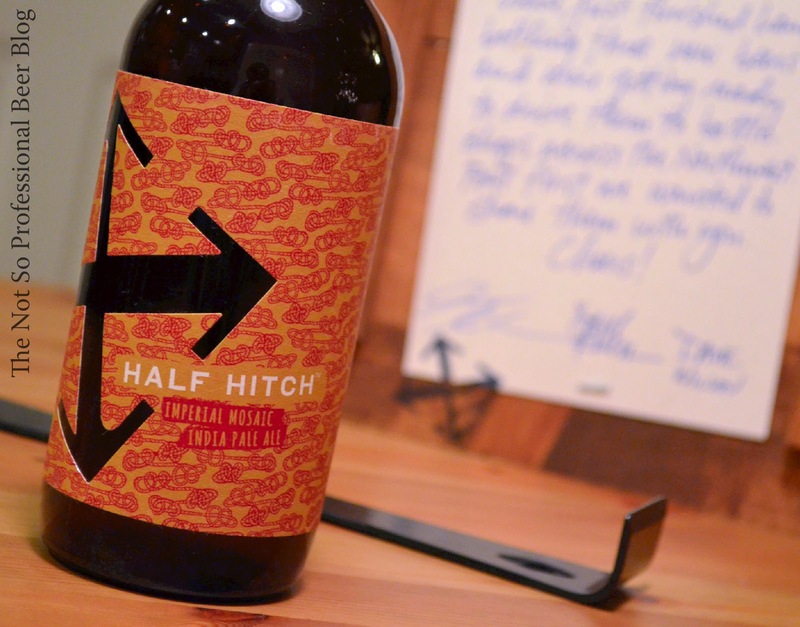 Half Hitch might be hard to find, so if you're an IPA lover and come across it, don't hesitate to pick it up. 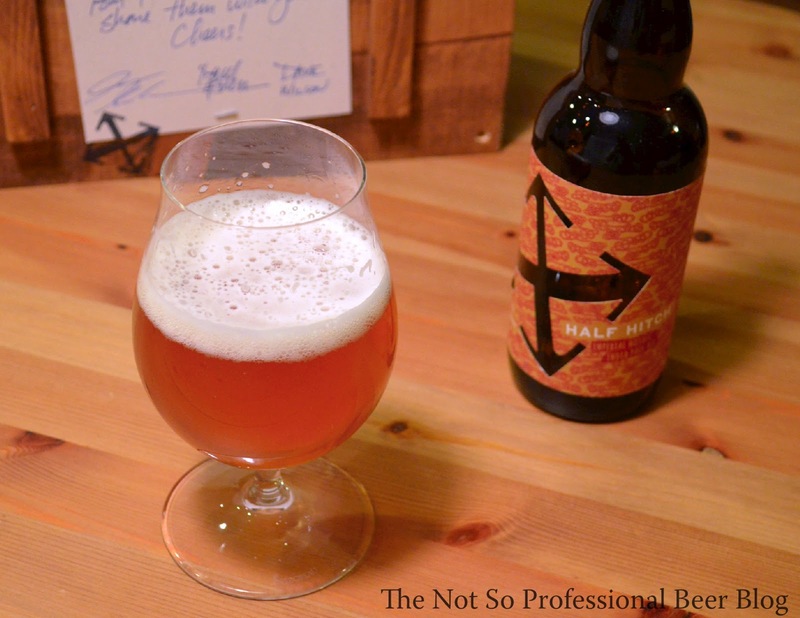 Have you tried Half Hitch? What's your favorite Crux beer? Random thoughts: I first tasted Heavy Seas beer this summer during a visit to Boston. Heavy Seas is located in Baltimore, and primarily distributes in the eastern US. They also specialize cask ales and have one of the largest (if not the largest) cask programs in the country. 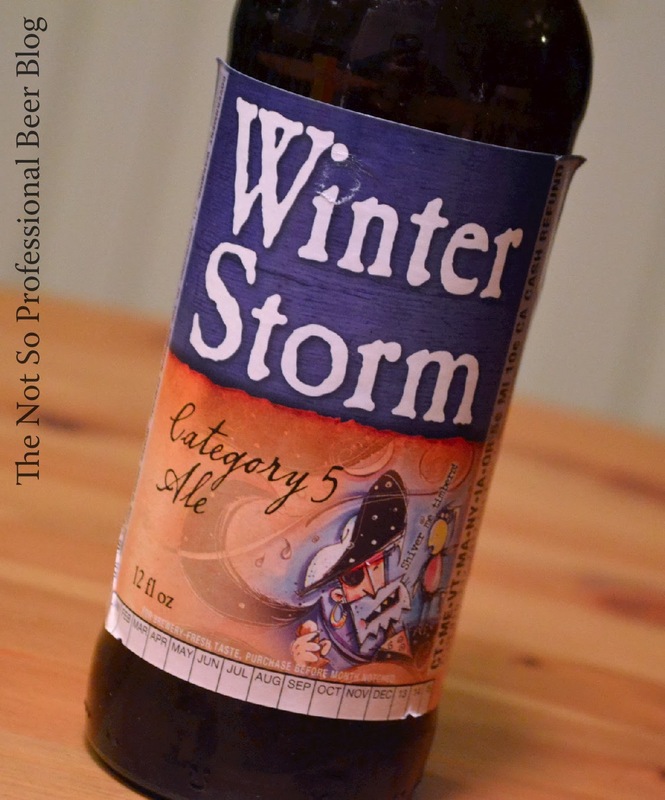 I enjoyed their beer and wanted to give their winter beer, Heavy Storm, a try as part of my series on winter seasonals. 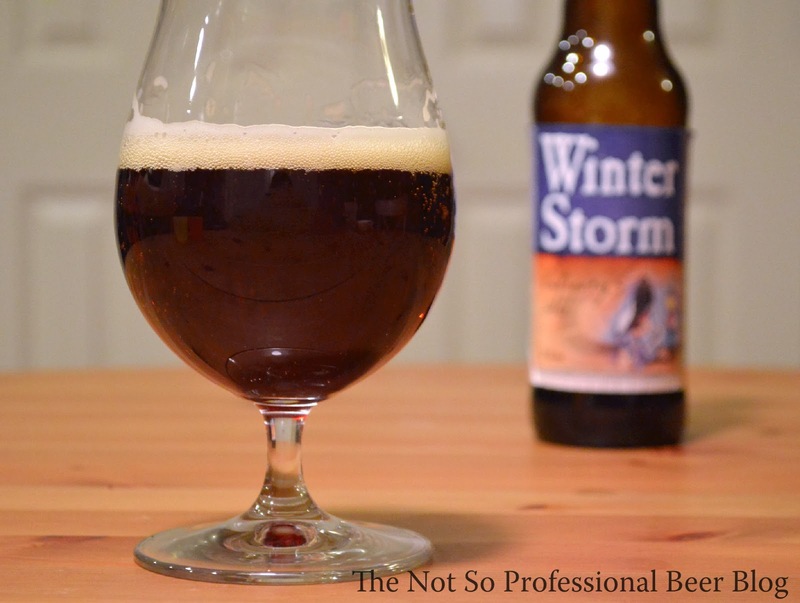 The tasting: Winter Storm is the kind of beer I look for in a winter seasonal. 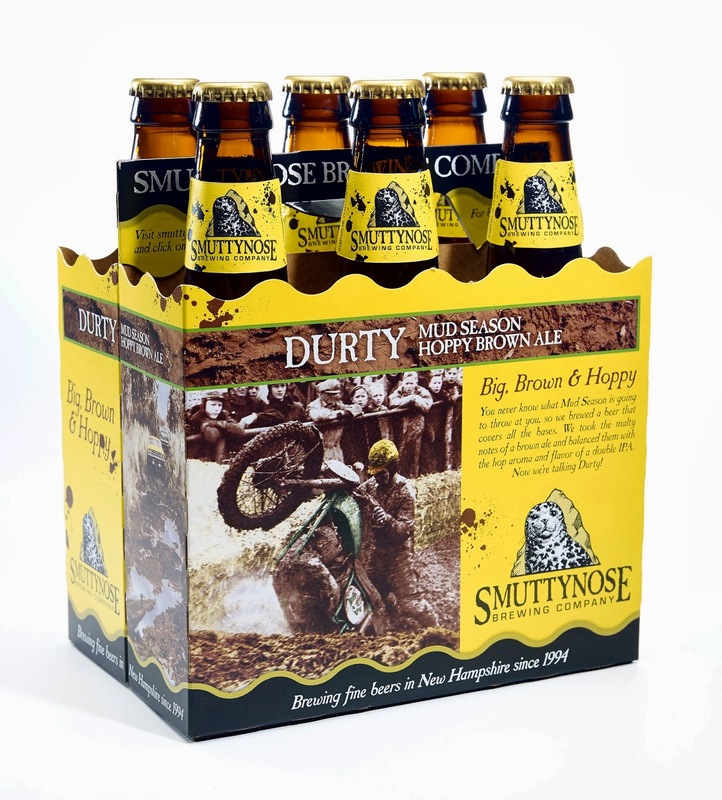 Its rich malty flavors and full body provide a perfect complement the cold and dreary weather. So let this Winter Storm warm you up the next time the Polar Vortex comes your way. What do you think of Heavy Seas Winter Storm? BridgePort Brewing Co. is turning 30 this year. To celebrate, they will release their Trilogy series of limited release beers throughout 2014. In addition, BridgePort will soon spruce up their label artwork as well. In the picture below, you can see BridgePort’s current label images on the left. On the right, are the new labels. The updated labels sport the same general look and color scheme. The BridgePort name is displayed more prominently in black. Gone is the image of the bridge (St. John’s by the looks of it). What prompted you to redesign your labels and eliminate the image of the bridge? For 2014, we wanted to place as much emphasis as possible on our 30 year anniversary. We considered many design options both with and without the bridge. Although we ultimately decided to proceed with a design that does not include the bridge, this does not mean that it has been permanently discarded. This was simply a design choice that we felt would help to place more visual emphasis on the 30 year labeling. Will all of your beers use the new design? Yes, all of our beers will use the 30th anniversary design for 2014. The new labels will begin arriving at the shelf during the week of 1/20. Why did you change Hop Czar? Is this the first change you made to this beer? When will the new Hop Czar be released? The original Hop Czar was created as an exploration into the world of adventurous hop-centric styles. The Hop Czar series that we are launching this year is simply an expansion of this exploration. The series gives Jeff and his brewers the opportunity to craft and release new and innovative IPAs and double IPAs three times per year. This is an exciting creative opportunity for our brewers. Yes, this is the first change. The launch of the series does not mean that the original Czar is gone for good. It may come back in its original form, slightly altered, or extremely altered—only the brewers know for sure! The first of the series, a Citra dry-hopped IPA (6.5% ABV, 60 IBU) will begin shipping in February. There you have it. I think a change to Hop Czar was overdue. Perhaps it was an Imperial IPA when it originally launched, but it doesn’t fit the bill in the current era of mega hopped, high alcohol IIPAs. I’m a big fan of variety—and IPAs, so I welcome the change. But, I’m glad to see that BridgePort is keeping their classic IPA in the lineup. However, at the same time, I wonder if beer lovers are getting rotating IPA fatigue. Widmer Brothers launched their Rotator IPA series nearly two years ago. For the first year, they seemed to release new IPAs every 3-4 months. Recently, the length of their IPA rotation has increased. Hopside Down IPL, Widmer’s current Rotator, has been on the market since last May. Is that a reflection of declining interest? Time will tell. There has always been a special place in my heart for BridgePort IPA because it was one of the two beers (along with Widmer Hefeweizen) that kindled my love of good beer. So I’m looking forward to tasting the new releases! Happy 30th anniversary to BridgePort! 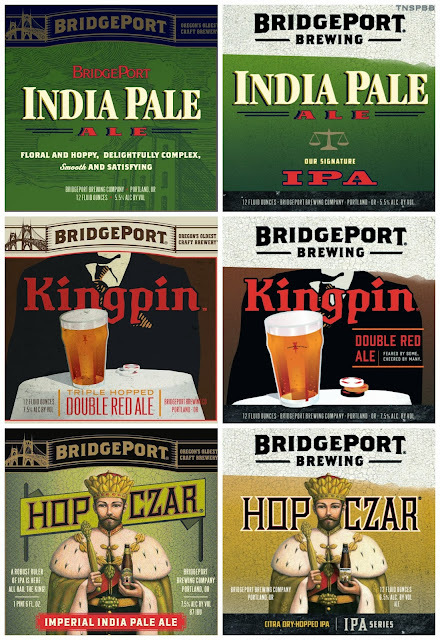 What do you think of Bridgeport's labels and their new rotating Hop Czar IPA series? Ingredients: Hard cider, less than 1% of: natural flavor and sulfites. 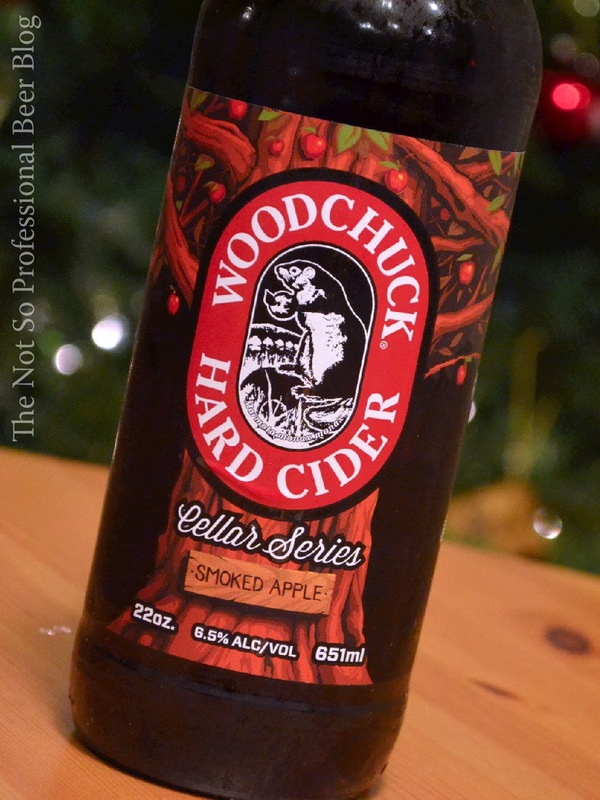 Random thoughts: Smoked Apple is the second in Woodchuck's Cellar Series line of experimental hard ciders. I enjoyed Dry Hop, the first release. In general, I'm not a huge fan of smoked beers, but I'm intrigued by how smoke will taste in a hard cider. The tasting: Reddish-brown in color and clear. From the first sniff, smoke (reminds me of damp wood) is prominent. Taste starts with bright apple, and is quickly followed by smoke in the middle. The level of smoke in taste is more subdued than in aroma, but is still prominent. Moderate sweetness and a mild level of acidity emerge in the middle and provide a nice contrast. It's light bodied, has an effervescent mouth feel, and finishes semi-dry with notes of smoked wood and tart apple. Rating: 3 star. Good. I would drink this again if someone gives it to me. My biggest pet peeve is when breweries (or cideries) don't deliver their featured flavor(s). That's certainly not the case here. Smoked Apple does a good job of providing a solid level of smoke, without overpowering. If you're a fan of smoke or are smoke-curious, give it a try. 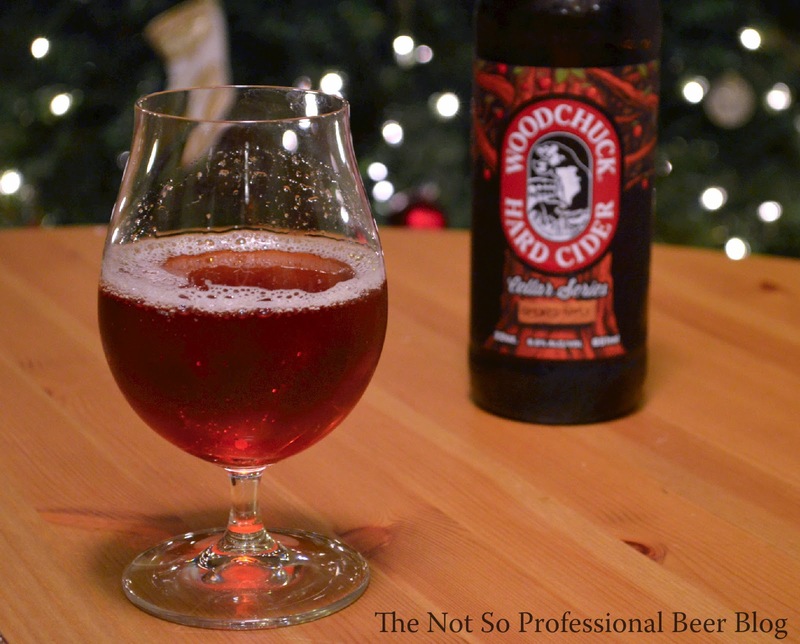 The Woodchuck Blog has a nice article that explains how the apple pomace was smoked and used to flavor this cider. Check it out. 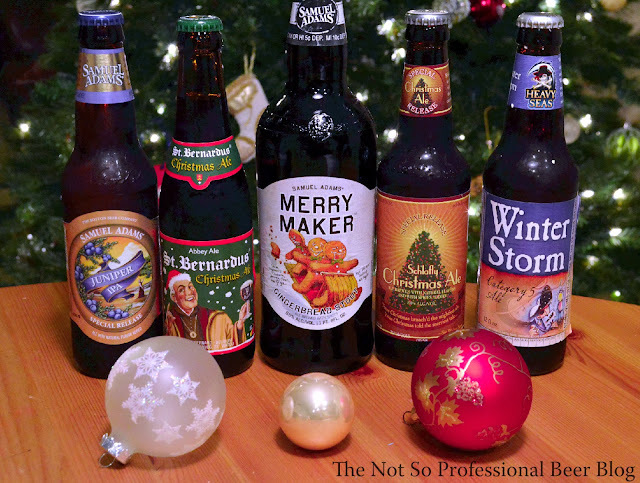 Although we're still in the middle of winter, the winter beer season is quickly winding down. At the start of each year, most breweries will start shipping their spring seasonals. So if you have a favorite winter beer, be sure to pick up a few six-packs to hold you over until spring!